One of the first questions often asked when considering the transition to cloud-based computing is: where are the real, discernable cloud cost savings? While cloud security concerns are also one of the most frequently asked questions, ensuring that the transition to a cloud infrastructure will result in a positive effect on their financial bottom line is undoubtedly up there on the list as well, and for good reason! One of the highlights of the cloud model is that it operates on scale, meaning that the utilization of resources depends solely on the workload needs. 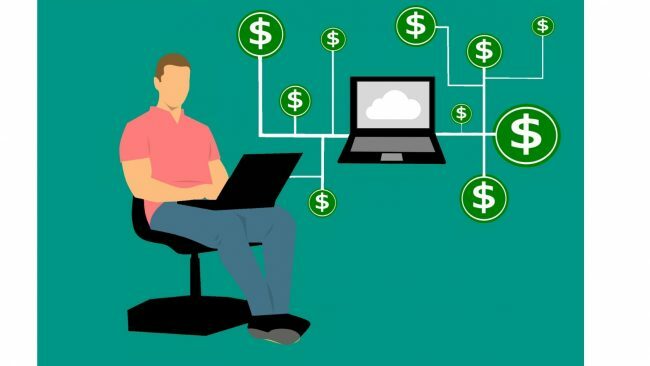 You will never need to purchase more than you will actually use, so you can rest assured that whatever cloud computing costs you incur are applicable to a productive reason. Additionally, on top of the reduced overhead, you also gain a much more sophisticated enterprise setup over your typical office setting, especially considering a DC has multiple network lines from diverse paths vs the single-line implementation for your run-of-the-mill office setup. After migrating your current on-premises infrastructure to cloud hosting through a managed hosting provider, you can then reallocate excess funds towards higher-ROI IT tasks functions. By moving the day-to-day management to your provider, you can free up more time and budget to re-focus on other objectives. Some companies such as Wowrack even offer 24/7/365 service for their clients, which allows you to get the recommended level of monitoring and network security without draining the budget or your employees’ time. This additional support level can help catch threats before they evolve into full-fledged attacks, so you won’t have to use costly manpower as well as hard dollars to not only fix the issue but ensure it doesn’t happen again. While a lot of the tips here focus on cost savings on the immediate front, this point does speak to the future savings that can be attributed to preventative measures for combating DDoS attacks and other threats to your network security. Take a look at our Seattle colocation facility to see exactly what features you should expect when reviewing colocation spaces – in addition to providing top-notch servers, other amenities, such as free remote hands, offered could potentially further help on cutting overall costs. Cloud hosting has a lot of advantages that can greatly benefit a businesses’ growth and output. On a deeper level, however, CFOs and other IT professionals will quickly be able to discern notable cloud cost savings when implementing cloud computing. Interested in how managed hosting servers and the cloud can positively impact your ROI? Contact us today and one of our Wowrack representatives will be in touch.